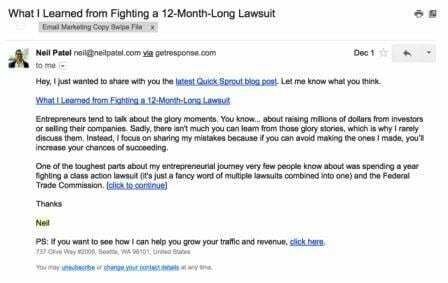 Email marketing that’s content-driven works better than emails that are sales-driven. This is something that content marketers understand. As much as 93% of marketers use email for content distribution and some 80% of content marketers use email marketing. 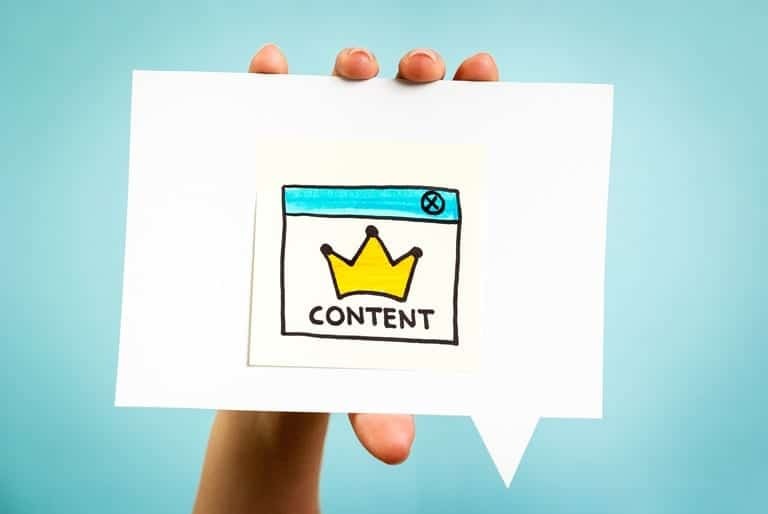 In order to be successful with content marketing, you have to make sure your content reaches right people at the right time who will be interested in it. There is no one more interested in your content than your subscribers because they opted in and are interested in building a relationship with your business. How you interact with them and what type of content you send them via email will strengthen or weaken your relationship with your subscribers. 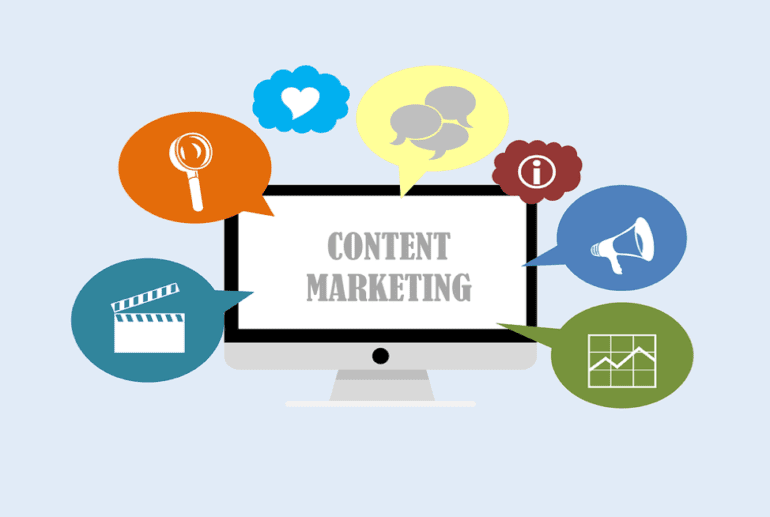 The following email marketing tips will help you succeed with content marketing. If you haven’t segmented your list, your email marketing campaigns are underperforming. How do I know? 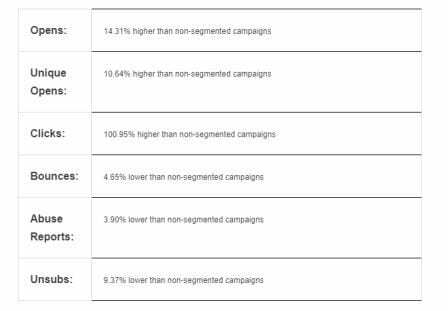 According to MailChimp, segmented email campaigns have 14.31% higher open rate, 10.64% higher unique opens, and 100.95% higher clicks than non-segmented campaigns. 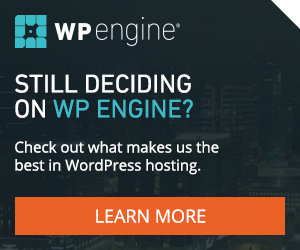 Because segmented emails are highly targeted and relevant. There are several ways to segment your email list. 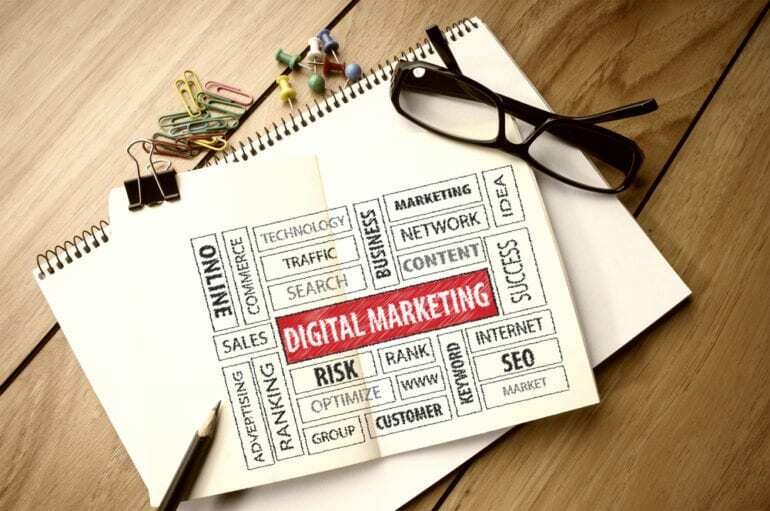 For instance, you can segment subscribers based on their content interests, types of content they engage with, or blog post types they read too often. If there are a few subscribers who only click emails that have a video, you can move all such subscribers to a group so you can send them exclusive video content. This helps you send targeted content that will improve engagement and customer experience. Do you send traditional text emails? You shouldn’t because that’s old school. Ask yourself, when your subscribers see different types of content all over the internet including videos, GIFs, podcasts, images, infographics, etc. will they like your simple text email? Switch to interactive content. Try sending different types of content to your subscribers. Here is an example of an interactive email. Here is an example of plain text email. Ask yourself: What type of email you’d like to see in your inbox? Stop sending text emails. 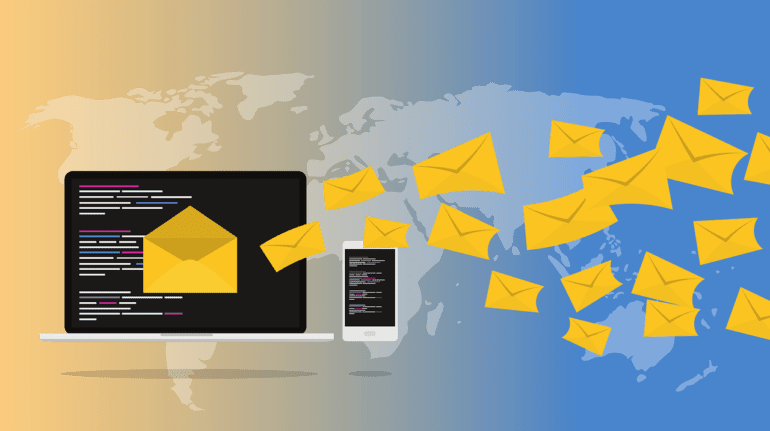 If you want to make your subscribers happy and if you really want to send content they will read and take action, switch to interactive emails that speak to your subscribers. 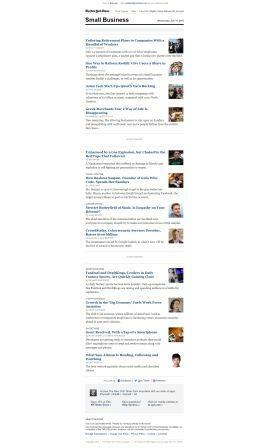 That’s one great way to show your awesome content they will interact with. It isn’t all about content, instead, it is all about how you present it. Even if you’re sending an interactive email or an HTML email, if it isn’t designed well, it won’t be welcomed. Sending an HTML email that’s colorful doesn’t mean your subscribers will read it. So your top priority should be content because that’s what you’re promoting in the first place, but in order to persuade subscribers to read your content, you have to present it in a nice way. 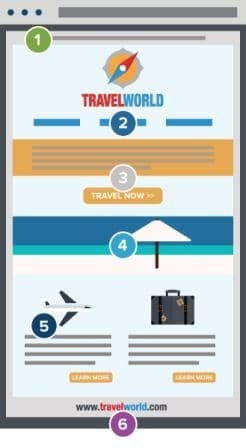 You can design your email like this. Or, you can put everything in one single email as if it is your last email like this one. Well-designed emails are clutter-free, focused, improve conversion rate, and are visually pleasing. It is a complete package where you have to focus on every aspect. Don’t let poor design ruin your content. 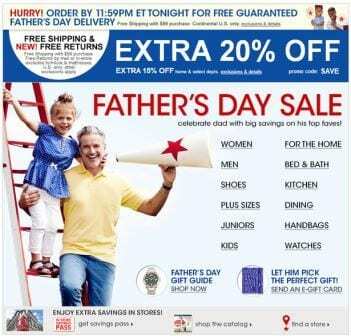 The Macy’s email shared above has several links that are confusing for the readers. This is what happens when your email isn’t conversion-focused. When you have a goal to achieve with your email, you’ll try to achieve it by improving conversion rate. And that’s what exactly you should do as a content marketer. 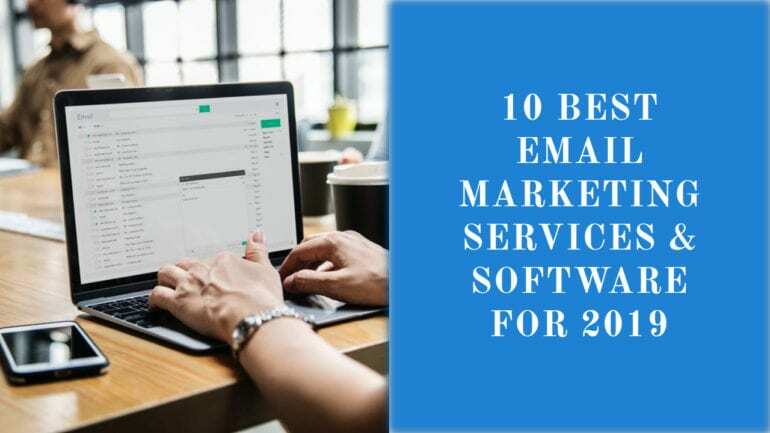 Whether you want to drive traffic to your blog, a new eBook, a video, or a guest post you recently published on an authority blog, you should clearly tell subscribers what they’re supposed to do after they have opened and read your email. 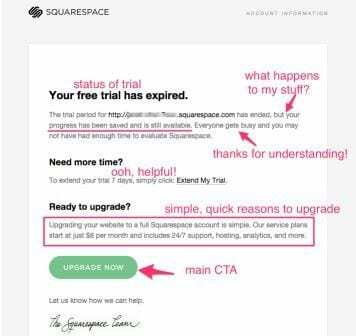 Here is an email from Squarespace that it send to the subscribers when their trial ends. It has one clear purpose and that is, to persuade them to upgrade. The green button says it all. You can send an email like this to your subscribers and let them decide what they should do next. This is confusing, right? You don’t know where to click and what to do next. 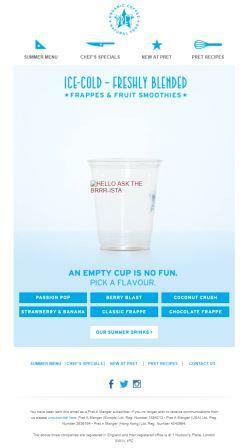 So the first rule is to decide on your email campaign’s objective. What exactly you want to achieve. And then stick with it. Clearly tell subscribers what they should do next after they have read your email. This is a nice approach to promoting your content. 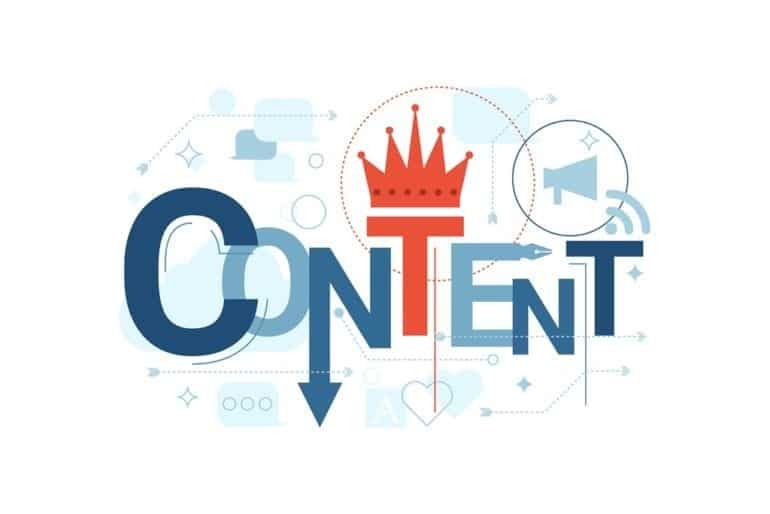 Content marketers can use email marketing to achieve whatever they like be it content promotion, distribution, or content sharing. If you know the rules of the game, no one can stop you from winning the hearts of your subscribers.